In this study, seismic-wave velocity (Vp) and electrical resistivity (ER) were used to determine the quality of Asmari limestone in the southwest of Iran. In addition, the efficiency of geophysical methods in prediction of rock mass classification system (Q) and modified classification for sedimentary rock masses (Qsrm) has been compared. Models for the prediction of Q and Qsrm in Asmari limestone were rendered by extracting about 1200 data point sets of studded sections of Seymareh and Karoun 2 Dam Sites (SDS and KDS) in south-west Iran, and using multivariate regression analyses and ArcGIS fuzzy overlay (AFO). Because Qsrm considers bedding, dipping of the layers, texture, and presence of cavities, prediction of Qsrm value by combining geophysical methods has a better prediction of limestone rock mass quality. The coefficient of determination (R2) for empirical equations obtained for predicting of Q and Qsrm 0.49 and 0.66, respectively; and the coefficient of determination 0.82 for the estimated Qsrm from the AFO model was calculated. 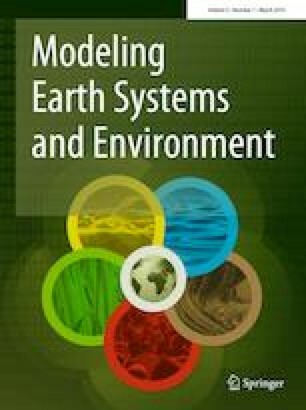 In addition, root mean square error (RMSE) and mean average error (MAE) were measured for model accuracy evaluation shows that the AFO method was interesting because it had good accuracy for prediction of Qsrm by geophysical methods.